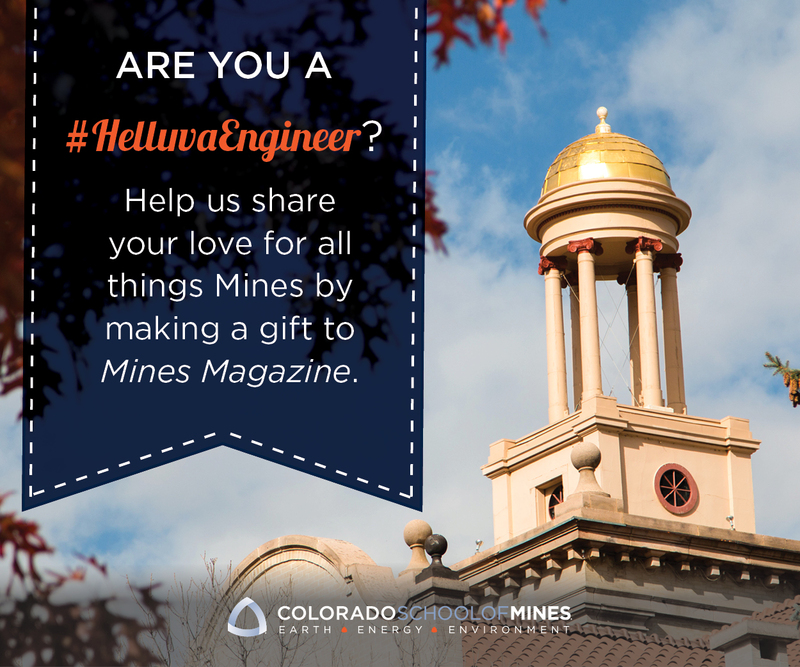 Mines Magazine is dedicated to maintaining connections between Colorado School of Mines and its alumni. We like to honor and share highlights of our alumni’s lives. If you would like to publish news, a recent accomplishment or notify us of a recent passing of one of our alumni, please choose one of the options below. Announcements share recent weddings, new additions and significant awards. 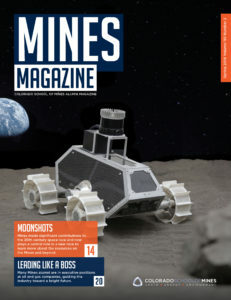 Obituaries inform Mines Magazine’s audience of the passings of other Mines alumni. Class Notes are posted exclusively online and share recent promotions and other updates.